Yesterday, we finally learned how much power the new 3.0-liter Duramax inline-six turbodiesel engine makes, and it tops rival engines. Today, we know how much it will cost to specify a 2019 Chevy Silverado or GMC Sierra with the mill. According to a report from The Fast Lane Truck on Sunday, buyers will spend a minimum of $2,495 to equip their truck with the 3.0-liter Duramax engine. However, that’s the price for Silverado and Sierra trims that typically house the mid-range 5.3-liter V8 engine under the hood. That’s also the same price it costs to choose the more powerful 6.2-liter V8 engine. To swap out the 2.7-liter turbocharged four-cylinder engine for the diesel powertrain, it will cost $3,890. 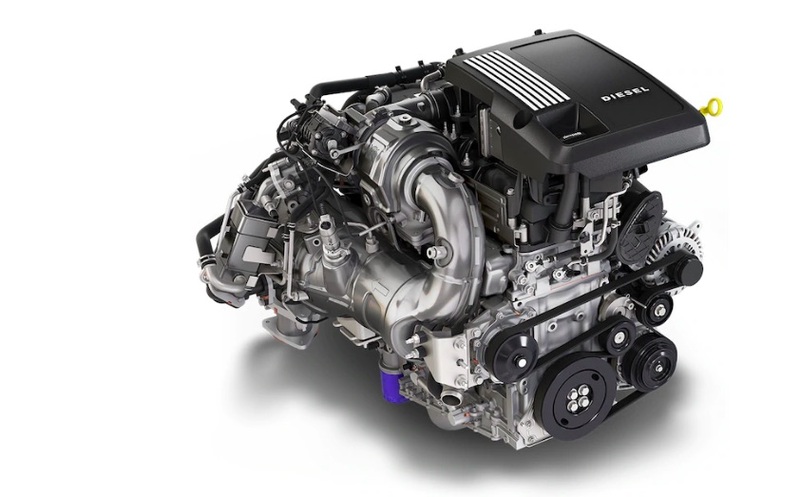 The new turbodiesel engine will be available on Silverado LT, RST, LTZ, and High Country trims, while every Sierra model can boast the oil-burner aside from the base model. Thus, the least expensive way to drive off with a Silverado half-ton diesel will be the LT trim, depending on other options and packages equipped. Comparing the prices to rival Ford, it’s not exactly a direct comparison. The F-150 with the brand’s 3.0-liter Power Stroke diesel engine costs $4,000 more than the truck’s 2.7-liter turbocharged V6 engine. We’ll have to wait for a full configurator to really dig into a price comparison to see which is cheaper, but it appears the Chevy Silverado may have a leg up over the F-150. Order books for the 3.0-liter Duramax diesel engine will open soon and the first deliveries are expected to happen this summer. The cheaper price makes me think that this engines also destined for the Suburban (YAY!!). This was obviously not a cheap engine to develop, and It is clearly not going to make up the majority of sales. The 2.7L was also expensive to develop, and as the only other truck is could go in is the Colorado which is a good 2 years away from a refresh; it makes sense for GM to price it higher. We could see a 2.7 in the suburban, but given the extra weight of the SUV over the truck. it is unlikely in my eyes. 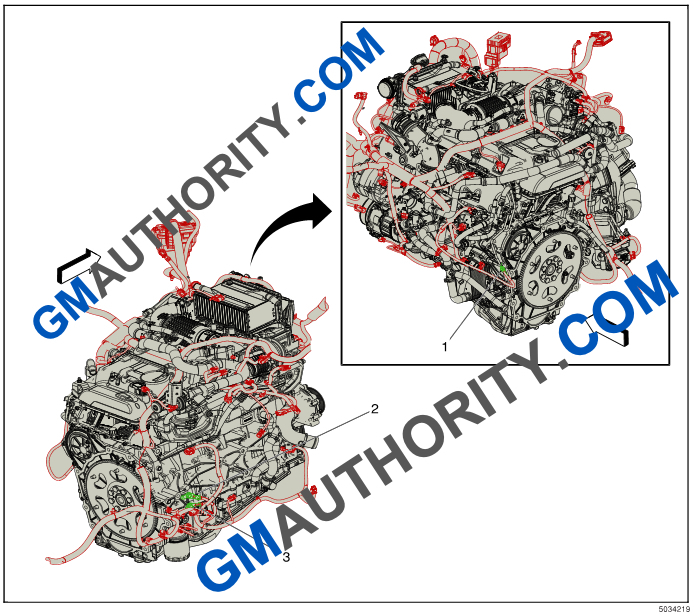 So either A) GM is planning to put this engine in many more products. or B) the price will be much higher or will require many other “packages” that total close to 5k. On LT and RST it does indeed require the convenience package. For the 45-46K starting price of the LT Silverado most of the content in the Convenience package should already be standard on this trim level. GM just de-contented the LT yet again for the new 2019 model to almost work truck status but a little extra exterior chrome and alloy wheels. XM radio, remote start, lighted visor mirrors, leather steering wheel, a power seat, rear wheel well liners and several other things are now part of either the Texas edition, the All Star package or the convenience group all of which cost well over 2K extra and 680 more for the rear wheel liners. The 2019 also has no glove box light and the overhead sun glasses holder has been eliminated. The way these companies gouge trucks buyers is beyond ridiculous. Cant forget about the non-adjustable driver seat belt! The 2.7 would be a decent intro engine in the Tahoe. I wish that the 4.6 was offered in the suburban in the ls model for an intro suburban, but the 2.7 increased power would make it a good fleet offering for the Tahoe and a decent engine for the LS trim assuming that like the Silverado they (suburban and Tahoe) become cheaper to produce and offer more affordable packages. (the new custom trim makes it livable to buy the work truck now for non business buyers making the new before incentive price cheaper ) I agree the 2.7 needs to be in the Colorado. The other vehicle that would benefit from it is the traverse. The 3.6 has changed very little since it was introduced in the last decade. I would like to see it completely redone, but it seems more likely that they would just use the 2.7 as its already there. Anyone follow GregRubini on Twitter? This is the day! The day the Mueller Report is released proving there was NO Trump-Russia Collusion. It was all a hoax perpetuated by the angry sore loser left-wingers and their fake news media buddies (including a few GMA bloggers). The Mueller Report proves Trump was right all along and therefore will not be arrested or impeached. Oh good….lets fill up a CAR site with politics…..because ya know….we really don’t get enough everywhere else.